Most people probably remember playing around with graphs and equations in Excel throughout their primary and secondary school years. Little did we know that people use Excel for a variety of personal and professional tasks, from creating financial records and planning budgets, to designing weekly planners. One of the problems with Excel is that is can be quite overwhelming. In comes PDF to save the day! 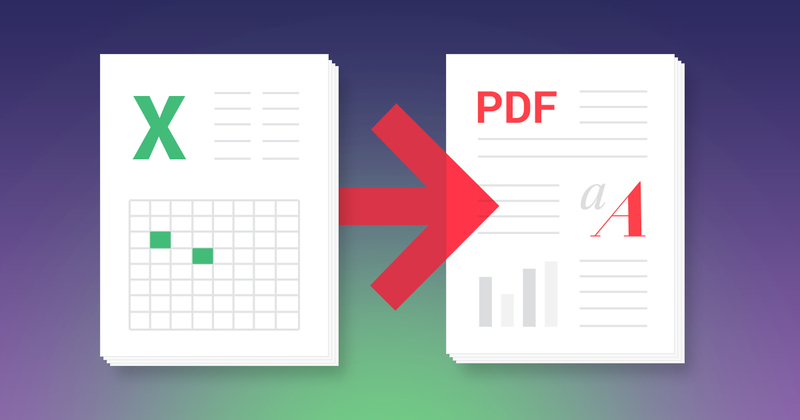 Learn how to convert Excel to PDF to make your Excel masterpieces easier to save, share, and understand. Sale season is upon us and the holidays are near. You can already smell the gingerbread cookies and peppermint candles. What’s that sound? It’s the sound of children ferociously tearing into the gifts that you spent a week searching for and eight hours wrapping. Christmas shopping can be stressful, but it doesn’t have to be. With sale season in tow, it’s the perfect time to take advantage of some great deals and get all the gifts out of the way. To help you out this holiday season, we’re bringing you an easy Christmas shopping checklist to help you find the perfect gifts for your loved ones while saving money and time! Looking for the best free PDF apps for iOS or Android and don’t want to pay? We’ve put together our 5 favorite free PDF apps. They’re all special in their own little way, so be sure to choose the one that’s perfect for you (HINT: it’s probably Soda PDF 😉 ). Looking for apps that let you convert ANYTHING to a PDF on the go and annotate, highlight, bookmark, hyperlinksoda, and freeze it carbonite (sorry, Han. We had no choice.) any time you want? Anyone with experience in HR knows the feeling: you want to add value to your company and create a work environment that people love coming to in the morning. Unfortunately, you’re so overwhelmed by the endless stream of paperwork that you find little time to concentrate on people. We wish the word “endless” were a hyperbole, but it isn’t. As long as employees come and go, laws change, and company policies shift, you’ll be pushing pencils (hopefully digitally). Company policies, employee contracts, welcome kits, job descriptions, employment offers, employee files – the list goes on and on. Document management is a perpetual struggle!